The Build from Scratch mode in Doc. 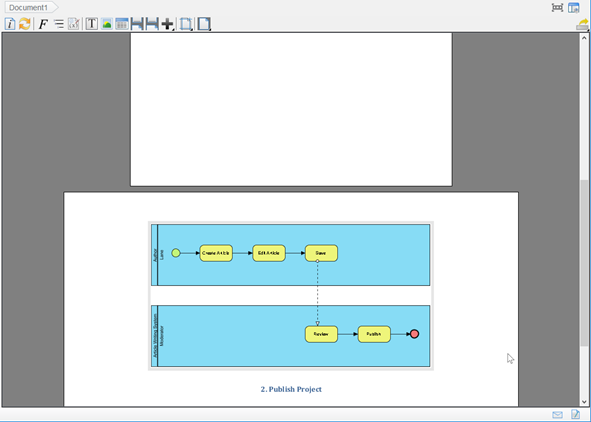 Composer provide a page like editor to create document for the models. It allow user to create the content page by page. The size of the page and orientation directly affect how much content can be shown in the document. In some situation you may want to have a different page orientation just for specific page, i.e. to best use the page size to show a landscape style BPD. We will show you how to change the page orientation for a specific page in this article. 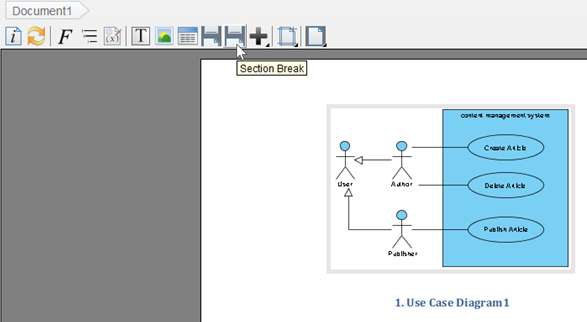 Press the Section Break button in Composer toolbar to insert a section break. Right click on the section break and select Edit from popup menu. 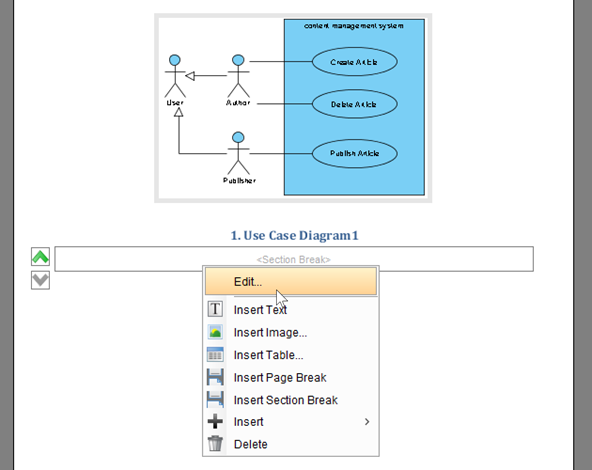 In Section Properties dialog, uncheck Follow previous section checkbox to change the Page Orientation. Press OK to confirm. Now the newly added content will pick up the new orientation setting. Page Orientation setting is not applicable when exporting document into HTML format. Why I cannot manage my Doc. Composer Templates? Retrieve tagged values as properties in Fill-in Doc. Find out source project of a model element via Open API Exporting documents via command line showing old content?